MHI Vestas will supply up to 52 V174-9.5 MW wind turbines for the Iberdrola offshore wind energy project, the first commercial offshore wind farm to feature the V174 wind turbine. Iberdrola has named MHI Vestas Offshore Wind as preferred wind turbine supplier for the 476 MW Baltic Eagle wind power project in German waters of the Baltic Sea, off the island of Rügen. 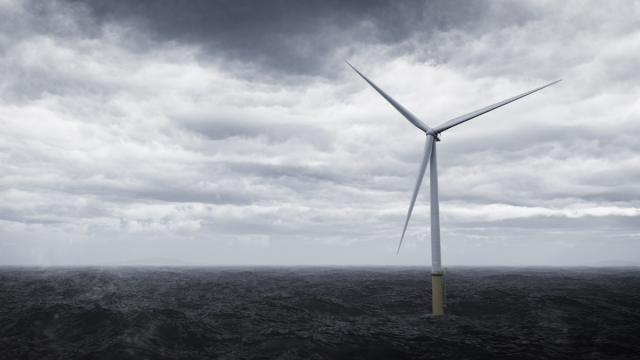 The wind energy project, slated for delivery and installation in 2022 and 2023, will be the first offshore wind farm to feature the V174-9.5 MW wind turbine from MHI Vestas. MHI Vestas Offshore Wind is a joint venture between Vestas Wind Systems A/S 50% and Mitsubishi Heavy Industries (MHI) 50%. The company’s focus is to design, manufacture, install and service wind turbines for the offshore wind industry. The company aims to create sustainable value through offshore wind power by driving capital and operating savings and increasing the power output of wind turbines. An innovative force in offshore wind since its inception in 2014, the company is guided by its founding principles of collaboration, trust, technology and commitment. Iberdrola is a global energy leader, the main wind power producer and one of the world’s largest electric utilities by market capitalization. The group operates in many countries and supplies power to nearly 100 million people, mainly in Spain, the United Kingdom (ScottishPower), the United States (AVANGRID), Brazil (Neoenergia) and Mexico. With a workforce of 34,000 people and assets worth €110 billion, it filed a turnover of €31.2 billion and a net profit of €2.8 billion in 2017. Iberdrola leads the energy transition towards a sustainable model through investments in renewable energy, smart grids, large-scale energy storage and digital transformation, offering the most advanced products and services to its customers. Thanks to its commitment to clean energy, it is one of the companies with the lowest emissions and an international benchmark for its contribution to the fight against climate change and the sustainability of the planet, all of which have placed the group in prominent positions on indexes such as the Dow Jones Sustainability Index and FTSE4Good. Iberdrola is considered as one of the world’s most sustainable electricity companies. Previous PostWhat a first-timer can expect at Wind Power on Capitol HillNext PostSustainable cement production – can concentrated solar power replace fossil fuels?